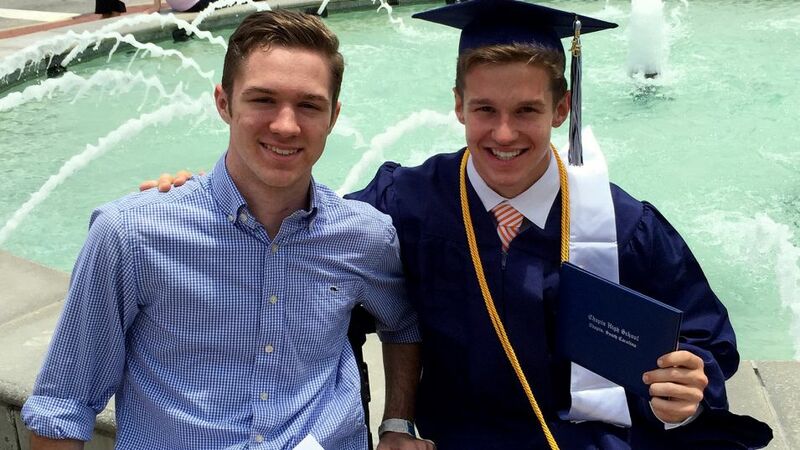 On March 4, 2015, Jack Enright sustained C-6 spinal cord injury during a high school lacrosse game. After the injury, Jack was unable to move anything below his waist. He was rushed to the local hospital and eventually transferred to Shepherd Center in Atlanta, Ga for long-term rehabilitation. At the time, doctors gave Jack a 10 percent chance of ever walking again and prepared him and his family for life in a wheelchair. After months of intensive physical therapy and rehabilitation, Jack returned home in August to attend the first day of his senior year at Chapin High School. Now, he walks with the assistance of a cane or walker and is able to walk up and down the stairs at home. He has worked incredibly hard and continues to push himself to complete any task put before him. He has met and surpassed many of the goals set before him. Jack’s family is hopeful that one day he will be able to walk completely unassisted. Jack is a fighter – he has earned every achievement through his hard work, positive attitude, and dedication. Despite all of his accomplishments, Jack and his family still have a long road ahead of them. In order to further his recovery, Jack needs additional intensive physical therapy. He plans to go back to Atlanta over school breaks and holidays, where he will be working with Project Walk Atlanta (www.projectwalkatlanta.org) to continue his rehabilitation. This therapy is not covered by insurance, nor is the cost of housing in Atlanta for weeks at a time. To help get Jack to Project Walk Atlanta, a fundraising campaign in his honor has been established with HelpHOPELive. To make a tax-deductible donation, click Donate Now. A $100 donation will send Jack to one hour of physical therapy. Thank you for supporting Jack’s recovery process.